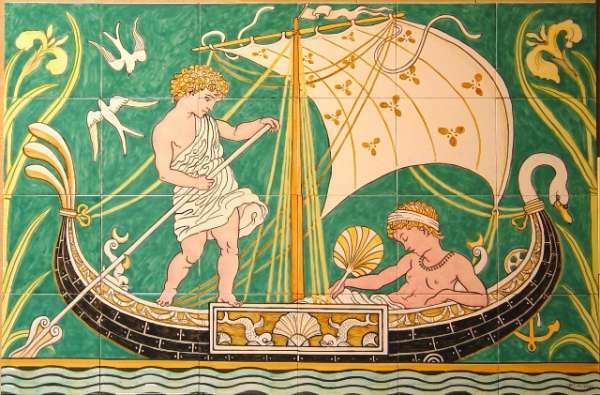 This 24 tile panel is recreated from a fresco painted by late Victorian and early Edwardian artist Walter Crane and is painted here on our standard 5" tiles. 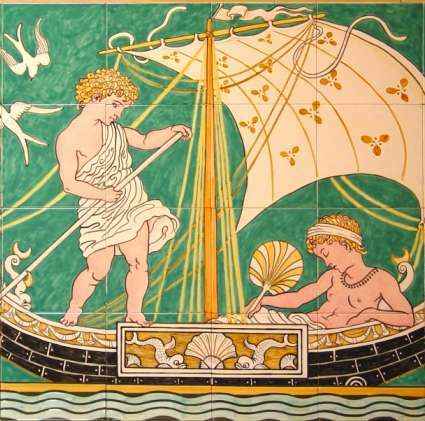 This charming panel is: AVAILABLE NOW as a hand painted panel measuring 30" x 20"for £480. also AVAILABLE NOW as a digital version, also measuring 30" x 20" for £288.